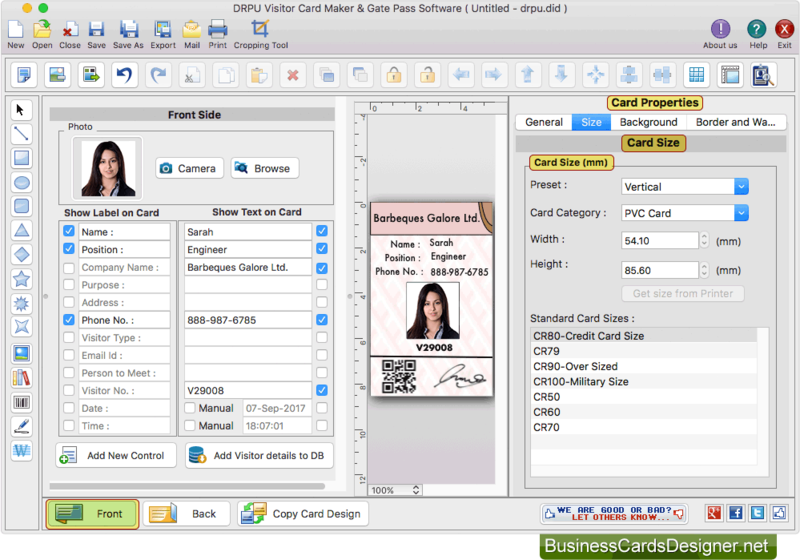 To quickly create Gate Pass ID card, software provides various pre-loaded ID Card Design samples. Choose any one sample and click OK button. Now enter visitor details and add photo of visitor. 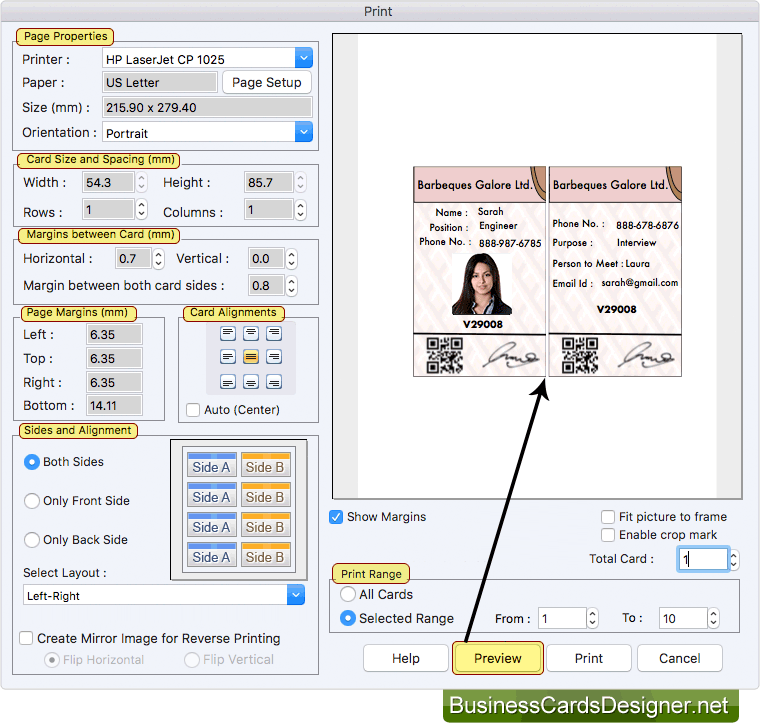 For designing customize ID card, Program also provides various card designing objects such as rectangle, line, barcode, signature, symbols, images etc. Similarly you can create back side of visitor card. 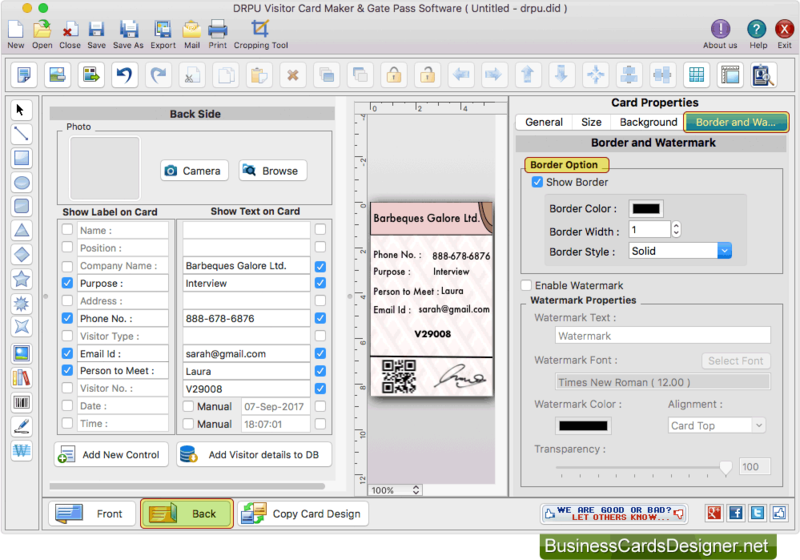 Software also has feature to add visitor details to the database for maintaining visitor record. 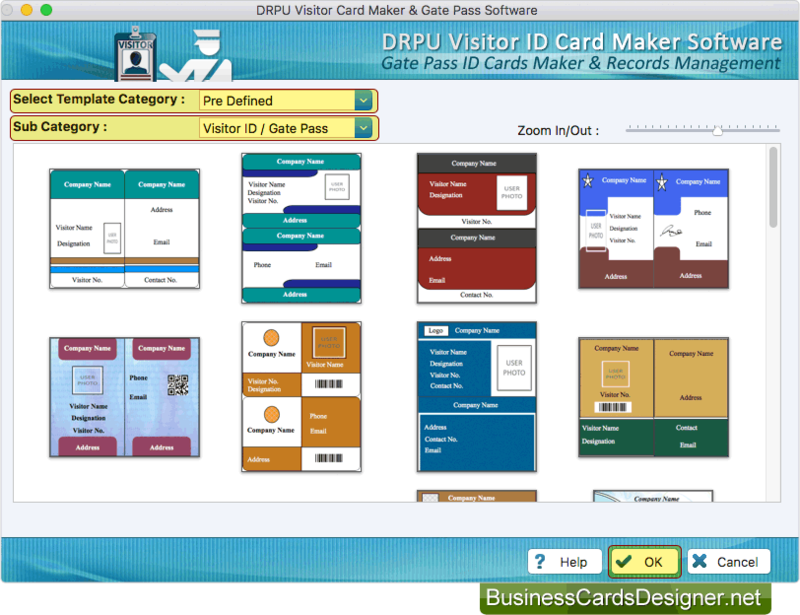 To print designed Visitor ID Card, enter various print properties and click on Print button. You can see the preview of visitor card by clicking on Preview button.